The reflections of London’s great City skyline gently kiss the easy flowing Thames on this warm summer’s night as you make your way to the station. The setting sun dances colour like soft fireworks over Wembley Stadium to announce the greatest show on earth. You meander with quickened excitement up the world famous Wembley Way to your exclusive VIP fast-track entrance grateful that in your best jacket pocket sits your golden ticket. Friends and colleagues alike whisper jealously at your attendance whilst you take a contented sip from your ice-cool gin and tonic served in the sophisticated surroundings of your exclusive VIP lounge. You feel the atmosphere build and can only manage a few nibbles of your sumptuous five course food as your stomach flutters with excitement. 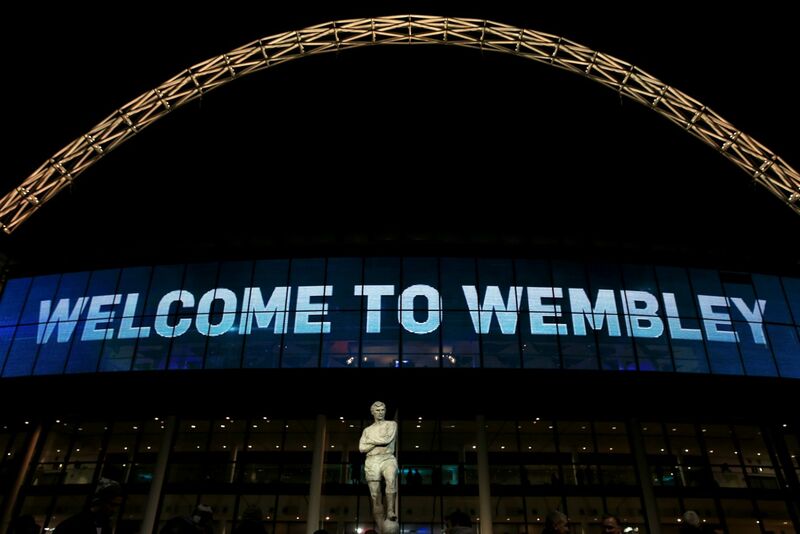 Like The Leaning Tower of Pisa or The Sydney Harbour Bridge, Wembley is one of those awe inspiring places that makes your stomach tingle and makes you draw breath when you approach it. There’s something truly special about walking up to its iconic arch in anticipation for what unique drama is going to unfold. 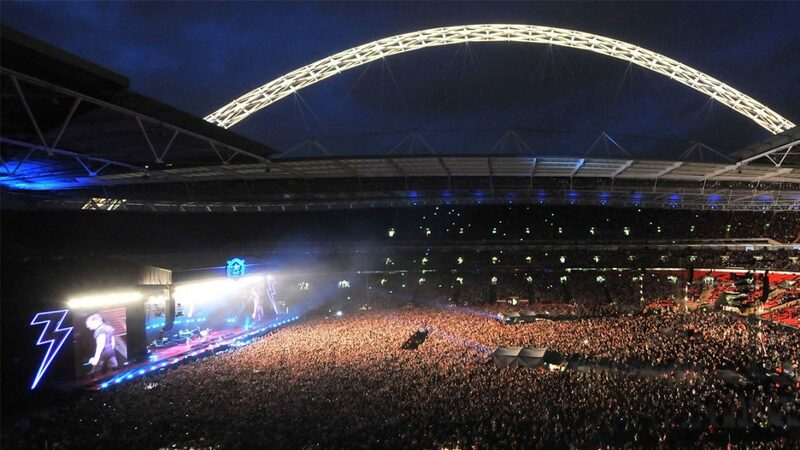 Wembley now hosts some of the world’s greatest events from Football Cup Finals, NFL, Rugby union and rugby league to world renowned musical acts, there’s something for everyone. 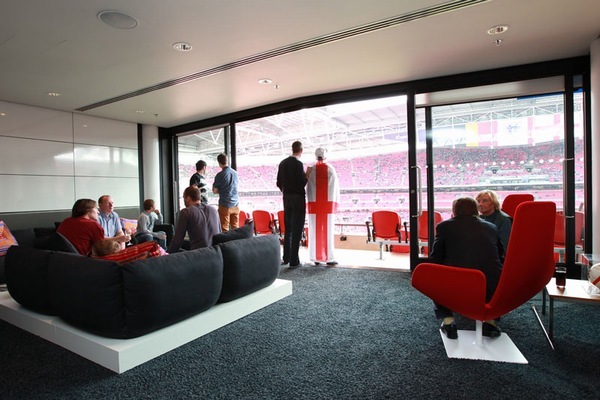 The Hospitality Broker can lead you through all the options from luxurious private hospitality boxes, Club Wembley VIP seats with some of the best views to stageside and backstage passes to get up close and personal with your idols. Whether you want to Rock out to your favourtite band, catch a VIP trailer party for the NFL or immerse your guests in the footballing history, The Hospitality Broker has it covered. Your Private Box is your own personal space where you can entertain your clients, friends and family. It is all about flexibility. You have the option to decorate the box how you want, be it corporate branding or extravagant personal style, or a combination of both. You can choose from a range of menus to suit your event, from pizzas to elegant fine dining. You can even tailor your event calendar. But it is not just about event days – included in your membership is the option to use your box as an impressive backdrop to staff meetings, that important client meeting, or even as a treat for your family and friends. 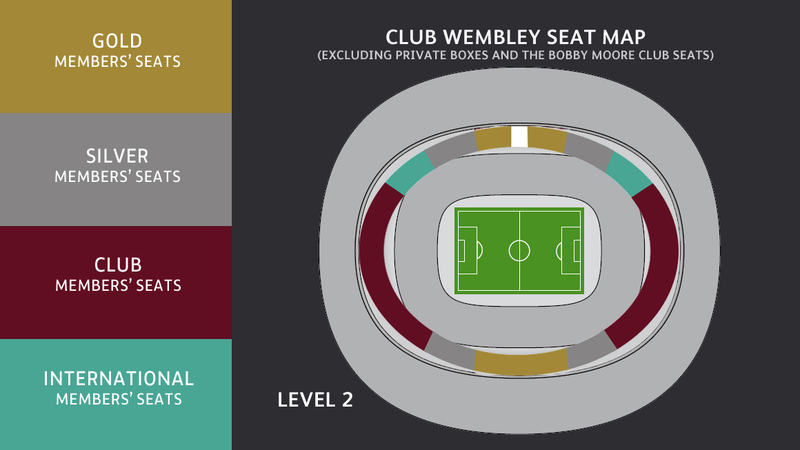 Whether for business or pleasure, one thing is for sure, an invitation to spend time in a Private Box at Wembley Stadium is an irresistible one. “For years I used to book direct with venues including Twickenham and Manchester United amongst many others however, I have chosen to use The Hospitality Broker as my preferred supplier because of the better choice and value they provide as well as the personal attention to detail and continuity .